Material: polypropylene fiber surface, sponge interlayer, anti-skid emulsion bottom, make your children and baby more comfy and warm when they play on the floor. Function: It can be put under computer chairs, coffee table, dining table, bedroom, study, by the bed, the hallway, floating window, hall, bedroom, etc. 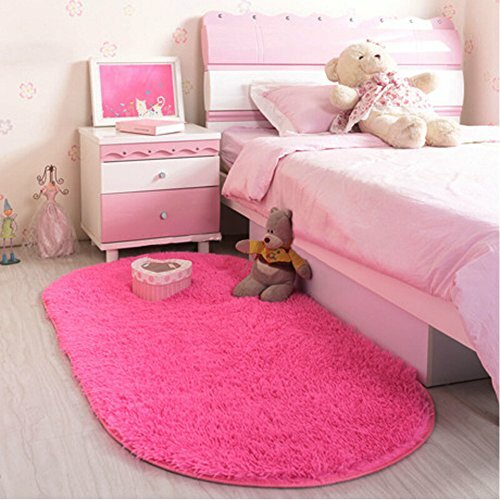 It will brighten up your kids room and nursery, make the space seem pop and welcoming, do not wash with bleach, color will stay nice and vibrant.